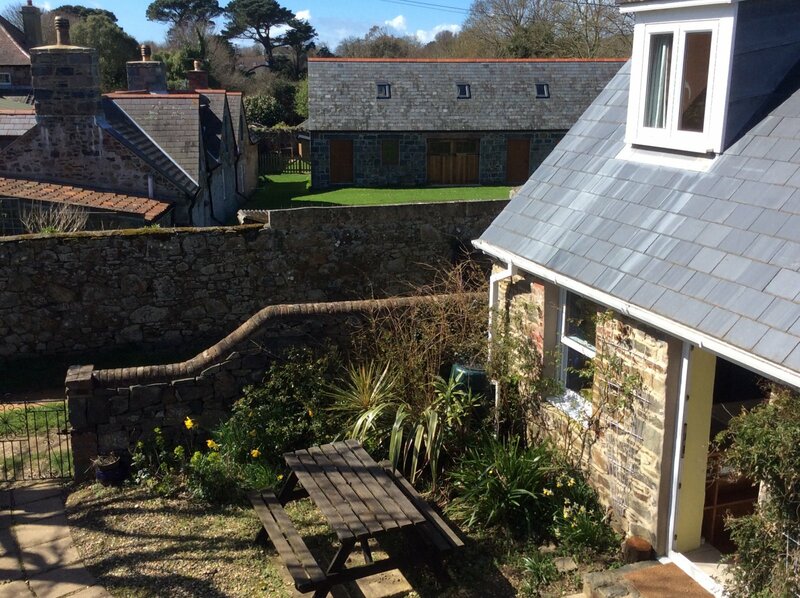 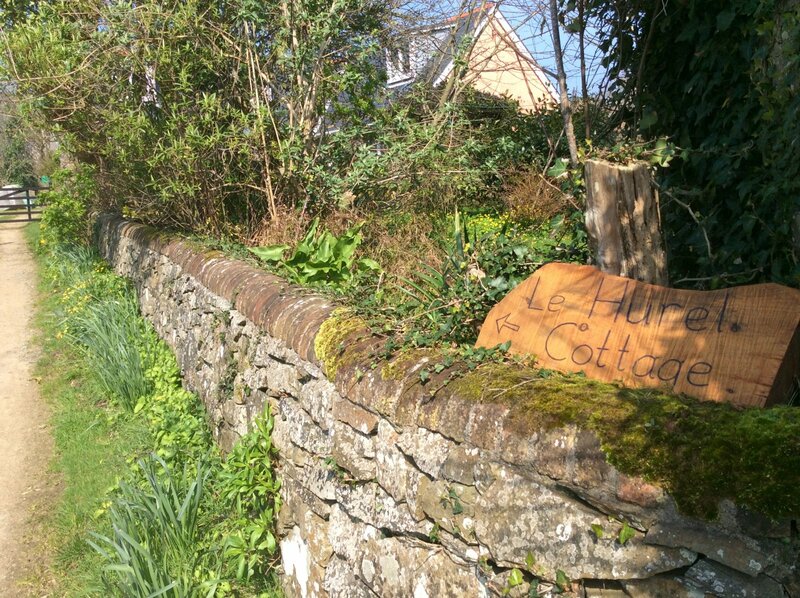 Le Hurel Farm Cottage can be found at the end of a quiet farm track, just a ten minute walk from the village, on the east coast of Sark above Greve de la Ville bay- which must surely be the best place for a refreshing morning swim! 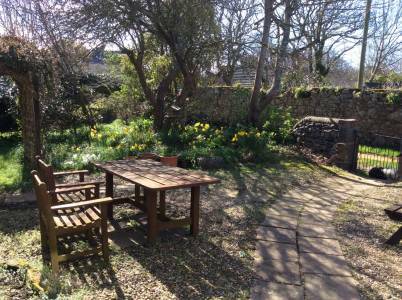 Its private garden is a sheltered sun trap, perfect for enjoying breakfast in the morning sunshine, or drinks in the evening warmth, (with BBQ also available for relaxed meals outside). 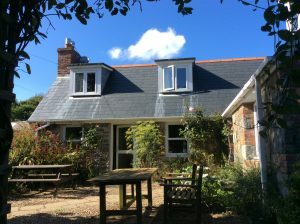 Le Hurel Farm Cottage has been lovingly restored retaining its character with today’s comforts (incorporating a self-contained flat, also available to rent for up to 2 people). 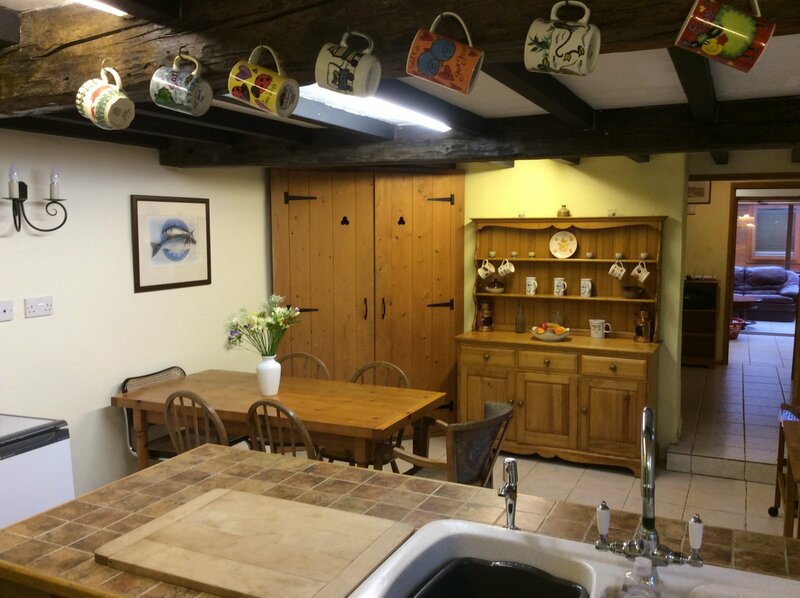 The front door opens from the pebbled garden into the beamed kitchen and dining area. You move through the utility room with shower, washing machine and separate wc to the conservatory. 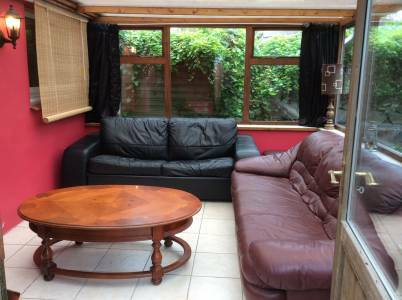 This sunny room with TV/ DVD, books, games and puzzles has leather sofas, one of which is also a very comfortable sofa bed if needed. 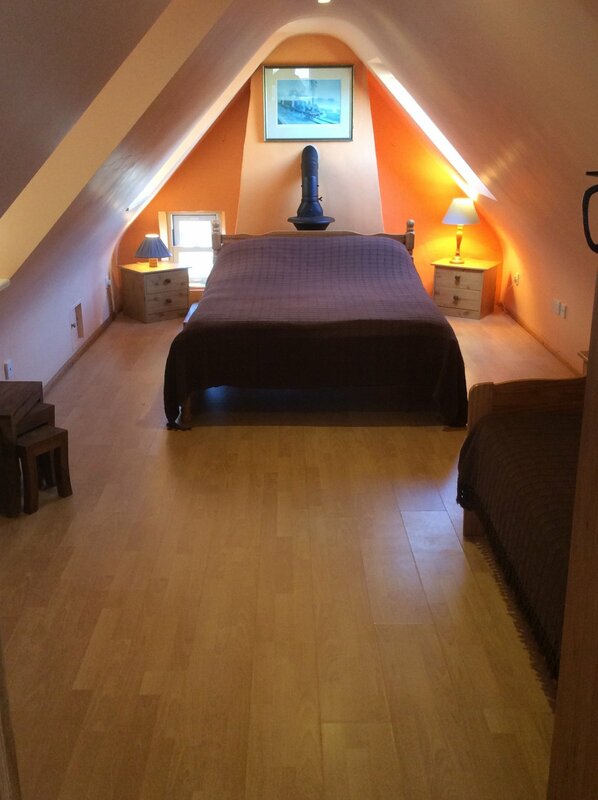 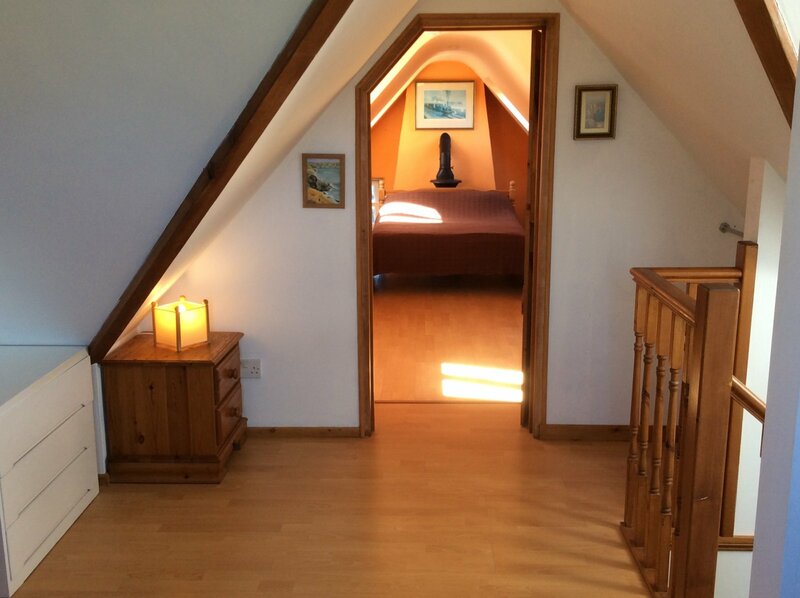 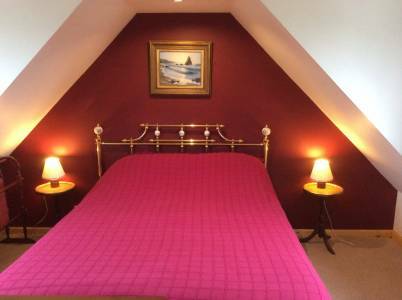 Upstairs there is a double en-suite bedroom, and a larger family room with double bed and two singles. 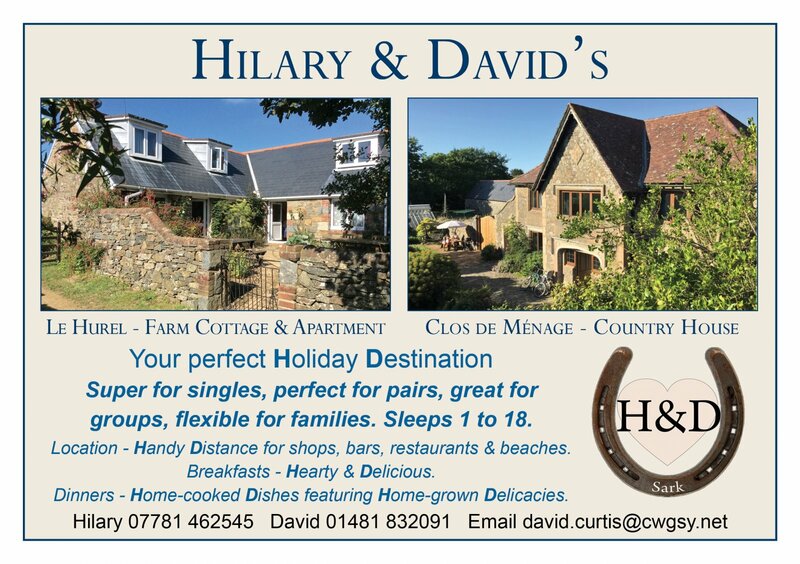 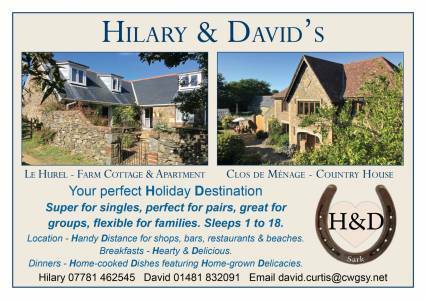 We have farmed on Sark for over 30 years and live next door, running Clos de Ménage Country House as guest house or self-catering. 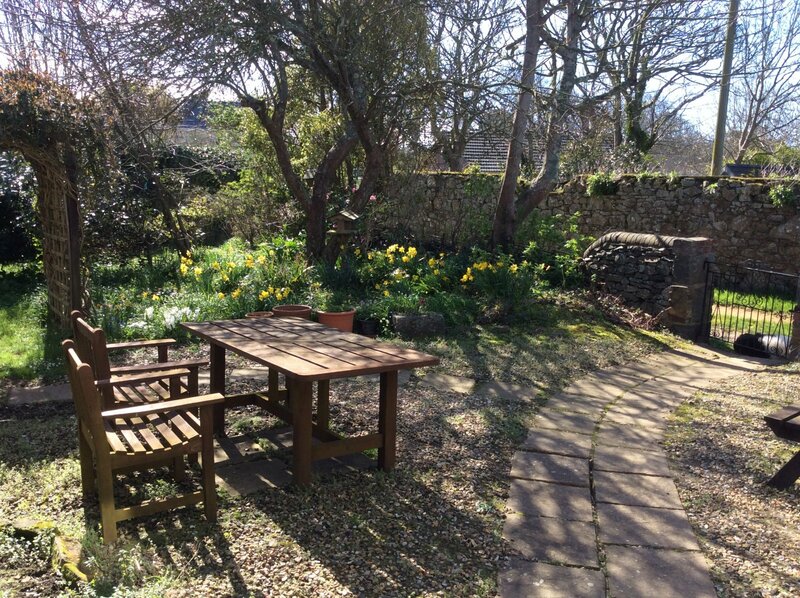 We really want you to feel at home in the cottage so will be there to show you in and chat through anything you may need to know which will help you make the most of your stay on our very special island.